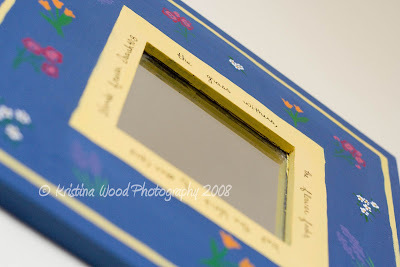 This beautiful mirror-frame was painted for M as a baby gift. 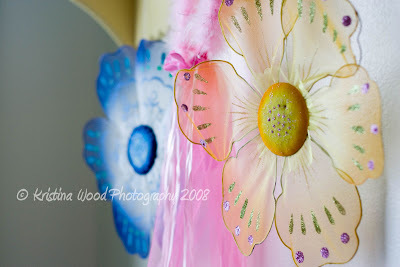 (Shh--don't tell her it actually belongs to her and that it's hanging up in her little sister's room.) Marta, if you're reading this, thank you! We still LOVE it! 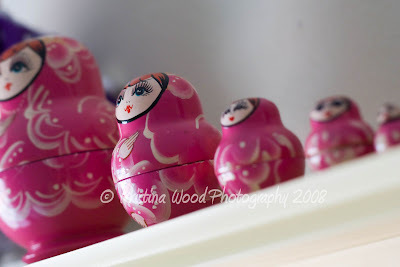 Beautiful stacking dolls that David brought back from China a few years ago. BTW, what do you think of this crop? Does your eye want to see more of the doll on the left?